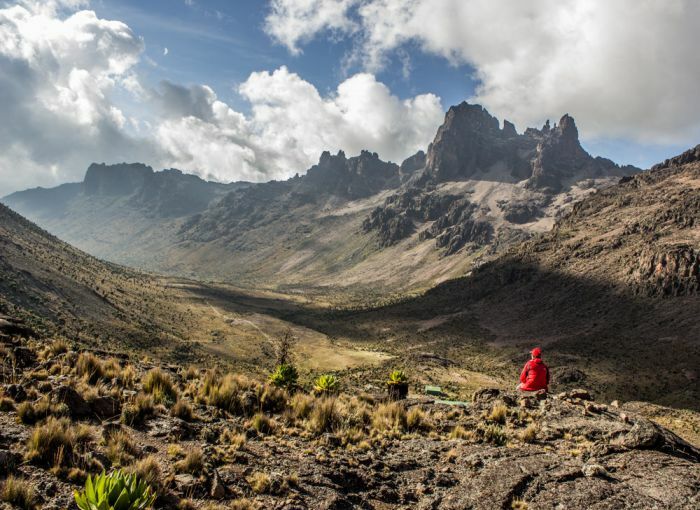 As we continue our look at AT’s top 100 treks in the world, we turn our attention to the stunning peaks of Africa’s second highest mountain, the majestic Mount Kenya. 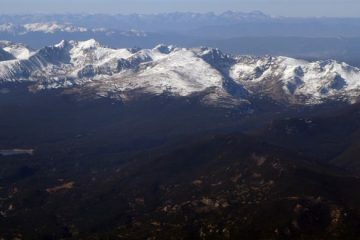 Mount Kenya (5,199m) is often overlooked for its more famous and higher neighbour Kilimanjaro, which is a shame because it has far fewer trekkers, offers a better wilderness experience and getting to the top requires actual Alpine climbing – far more interesting than a long slog. Plus it’s cheaper, and you can do the whole thing in just a week off work. Marvellous. 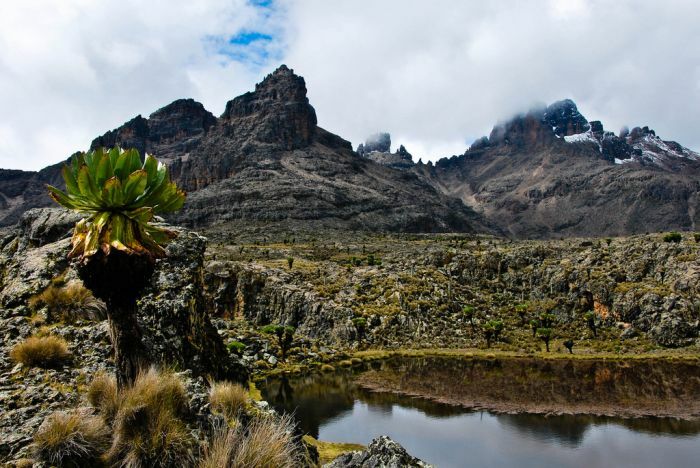 Although Mount Kenya can be climbed year round, you’ll probabaly want to avoid the rainy months from March to May. 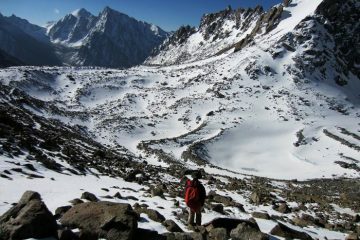 Snow can be encountered higher up at any time of the year, and temperatures will always be cold near the summit. 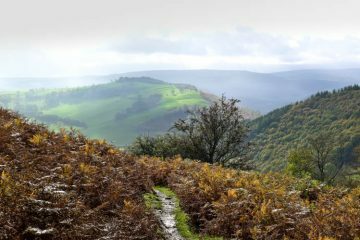 You’re likely to get the best conditions during August and September, with least rainfall expected during these months and slightly warmer temperatures. However, if you want to avoid some of the peak crowds, then January to February might be a better bet. 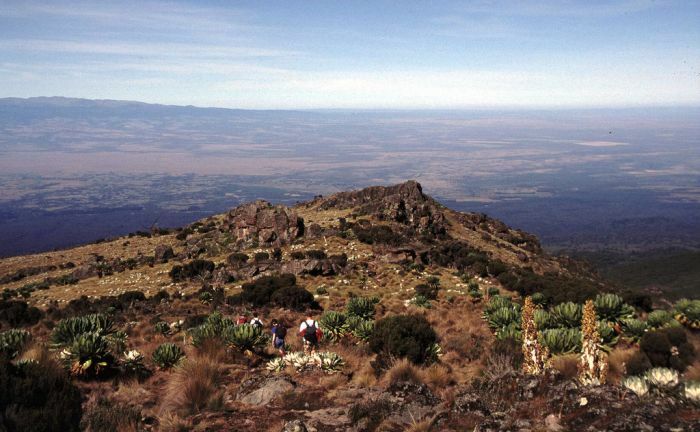 There are three main routes to the top of Mount Kenya, which all offer different benefits. It’s worth doing plenty of research into which route is best for you before making your decision. 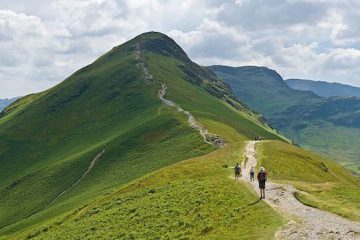 The fastest route is often the most tempting, but be warned that this often sacrifices proper acclimatisation time. 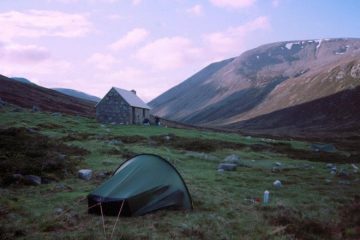 On some routes there are mountain huts to shelter from cold nighttime temperatures, but other routes will see you camping along the way. 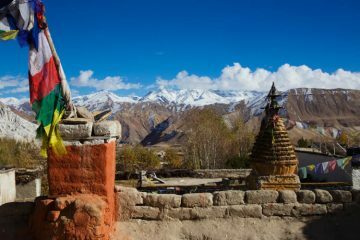 Organising your trek with a tour company will take away all the stress and hassle of doing it yourself. 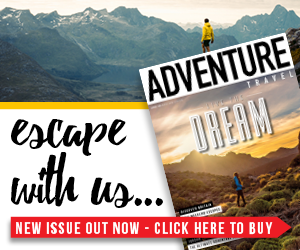 On the way up to the top of Africa’s second highest (and often considered more beautiful) mountain, climbers will pass spectacular alpine moorland, glaciers and forests. It’s a tough one, but it’s definitely worth the effort. Jagged Globe offers trips via the McKinders Route on the southeast face of Nelion – see www.jagged-globe.co.uk for more information.